Zoopla, FTSE 250 owner of UK property search portals, has today announced a series of investments into the UK ‘proptech’ sector. Whilst the exact terms and individual amounts are undisclosed the company has revealed an investment of £1,000,000 across four companies: Landbay, FixFlow, PropertyDetective and Trussle. Each of the companies satisfies a niche in the world of UK residential property and the rate at which incumbent companies are being disrupted easily justifies the ‘proptech’ moniker. PropertyDetective will boost Zoopla’s access to property data, FixFlo adds a repair reporting tool for agents and Trussle adds an online mortgage advisory service. 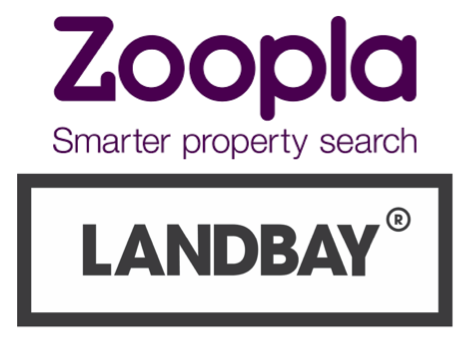 The Zoopla/Landbay tie up seems to offer exciting potential. The Liberum AltFi Volume Index reveals that Landbay enjoyed the fastest percentage growth of any UK P2P platform in 2015. Having only originated its first loan in July 2014 the Landbay platform originated £18.9m of loans across 2015 equating to a dizzying 969% year on year growth. This momentum has been sustained into 2016 with the platform having already funded £9.1m of property transactions so far this year. Remarkably this puts their 3 month market share ranking at 7th which leaves them nipping at the heels of Wellesley and LendInvest. Recent sector volume trends have all pointed towards the big platforms getting bigger. This makes it all the more impressive to see Landbay breaking away from the chasing pack and closing in on the leaders. And chase they likely will. Today’s press release “signals Landbay’s intent to aggressively scale its retail customer base”. Having built the infrastructure to become a scalable mortgage business, this partnership brings Landbay access to a huge network of residential properties – and their associated buyers and sellers. That in turn represents a massive pool of potential borrowers and lenders to whom Landbay can offer their services. In essence today’s announcement represents a union between the future of how people find and advertise their homes with the future of how people fund and gain exposure to UK housing. “ZPG’s investment kickstarts a long term relationship to develop our shared goal: to support consumer investment in homes. Residential property is historically the UK’s best loved asset class and we are looking forward to leveraging our partnership with Zoopla to democratise investment in the sector". Zoopla are scheduled to have an AGM and deliver a trading update on 25th of February at which point more details might be forthcoming. Of particular note would be any colour around the price paid and size of stake purchased. Landbay’s rapid evolution may also serve to deliver an impressive landmark for the UK equity crowdfunding sector. The platforms rapid progress will be closely watched by Seedrs. The crowdfunding site has raised a total of £535,061 of equity capital for Landbay across 5 rounds of capital raisings. The latest of these rounds came in January 2015 at a valuation of £4,516,206. Subsequent to this the company also completed 2 rounds of convertible equity to raise a further £654,900. Aside from it looking increasingly likely that the crowd are on track to make a very healthy return on their Landbay investment it will also be interesting to see if this latest round acts as a trigger for the conversion of that convertible into equity. At this stage we understand that this investment by Zoopla is, on its own, not sufficient to trigger a conversion. The terms of the convertible require an equity investment amount of £1,000,000 ‘from one transaction or a series of transactions’. AltFi understand that Zooplas stake does represent the beginning of that ‘series’. When this convertible does trigger holders will be able to participate at a discount of up to 20% to the valuation applied to the round. “We are delighted to announce our partnership with Landbay, one of the most innovative tech businesses in the UK property sector. Landbay has developed an exciting peer-to-peer lending proposition for residential property that allows consumers to invest from as little as £100. We are looking forward to working with them to bring residential property investing to the masses." AltFi understand that the customer-facing element of the Zoopla/Landbay partnership is scheduled for launch this summer. The Alternative Finance community will doubtless be watching carefully. And if UK property incumbents aren’t watching then they should be!